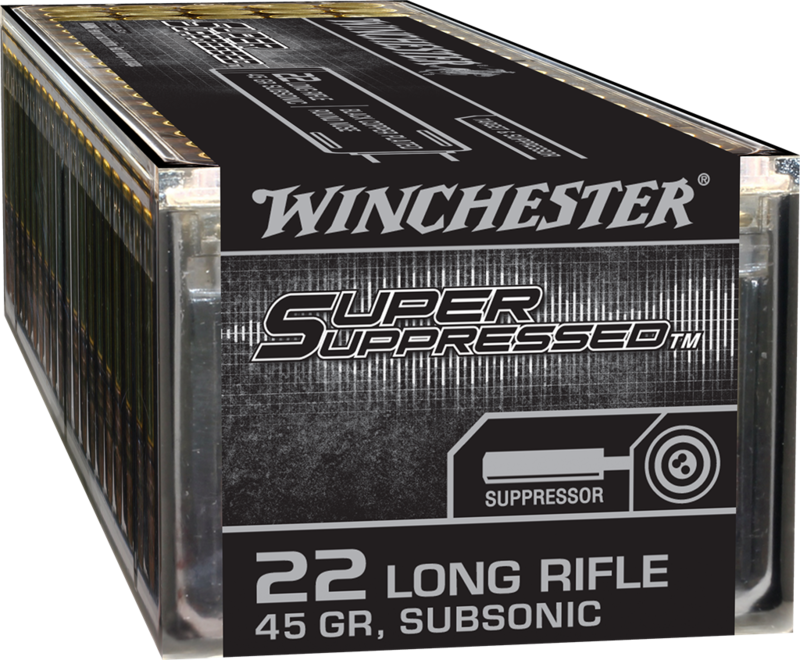 Super Suppressed ammunition is optimized for firearms equipped with suppressors. Offering clean and reliable performance, the Super Suppressed line is engineered for noise reduction, decreased barrel/suppressor fouling and recoil mitigation. Consistent performace and exceptional accuracy is backed by generations of Winchester legendary excellence. Subsonic from both rifles and pistols, reducing noise and optimizing for suppressor use.